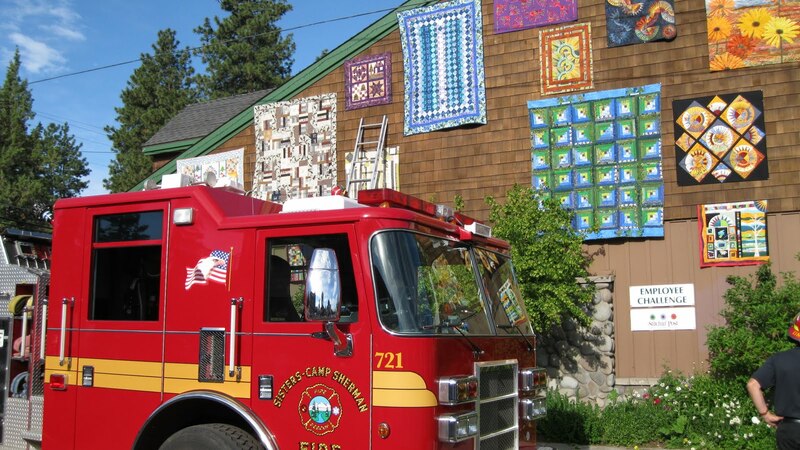 When Sheri and I were in Oregon, (see previous post) we shopped at Greenbaum's Quilted Forest. I saw these great leather purse straps and brought one back to make owner Sylvia a store sample. 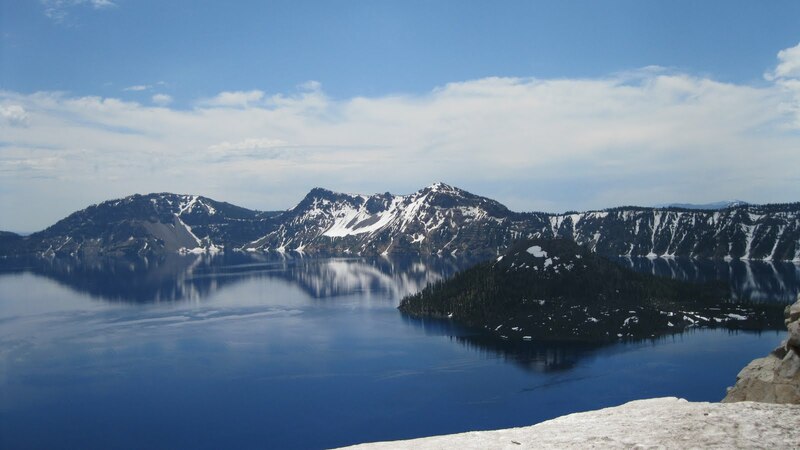 I contacted Cindy at Cindy's Button Company from Idaho. The straps come in different sizes, colors and flower patterns. Check out her website at www.cindysbuttoncompany.com . I will have some of her products in my booth at Houston at Fall Market. 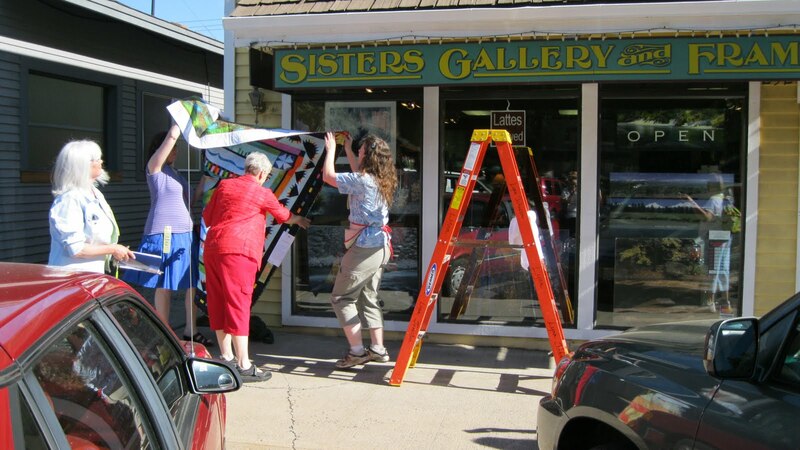 One of the many fun things about being a designer in the quilt world is to be able to travel and view quilt shows and visit quilt stores. 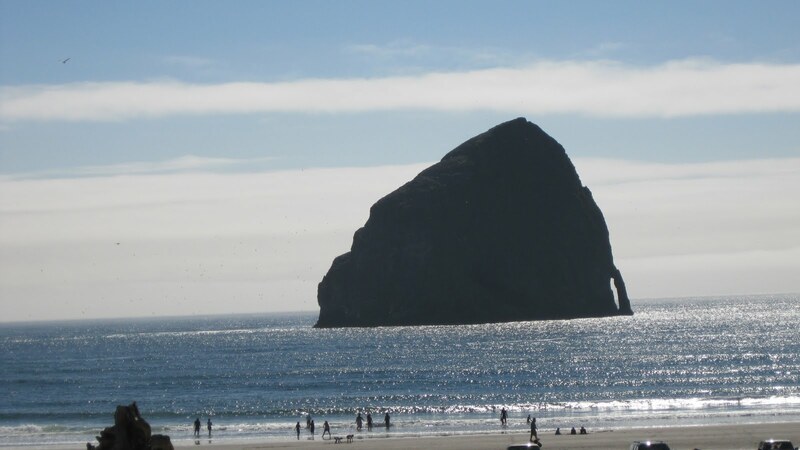 My friend Sheri and I were happy to go to Oregon for 7 days of cool weather, site seeing, and of course, shopping! 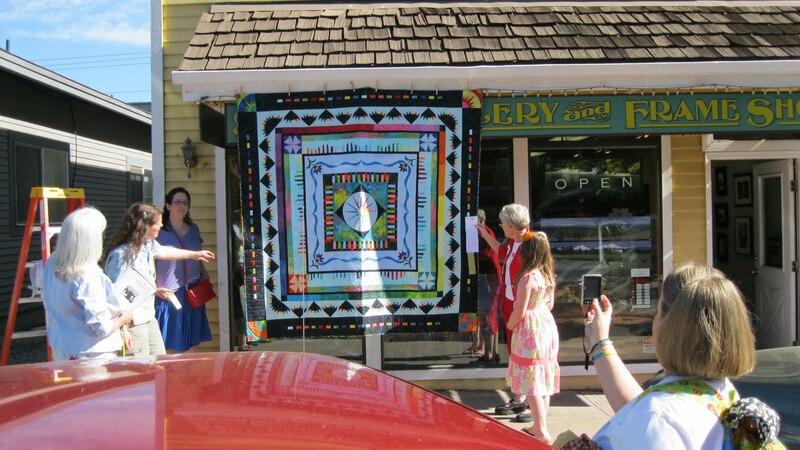 Added into that fun was to "show and tell" quilt store owners about my patterns and do demos along the way. 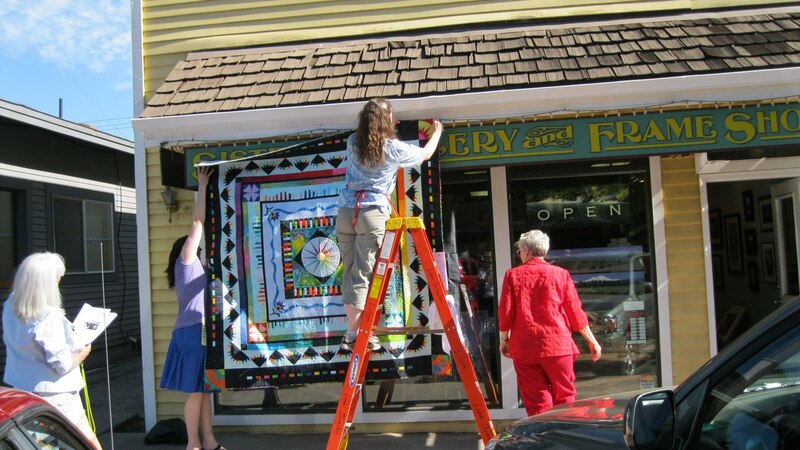 My BFF Cary bee's round robin quilt was hung at the Outdoor Quilt Show in Sisters, Oregon. 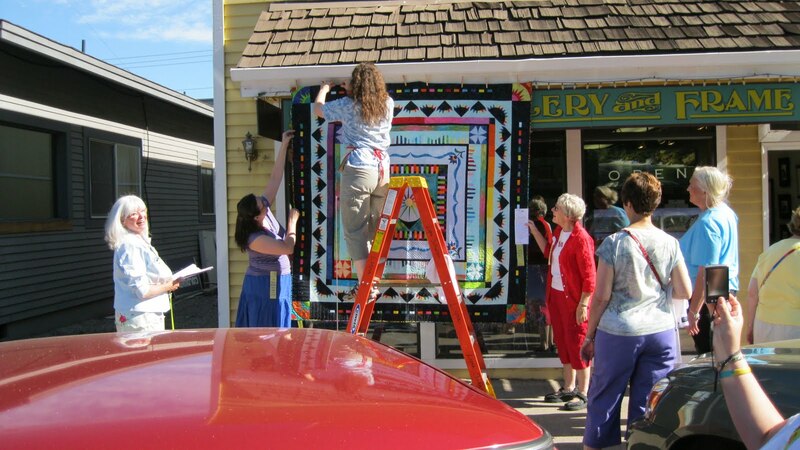 I was able to capture in photo the quilt being hung. 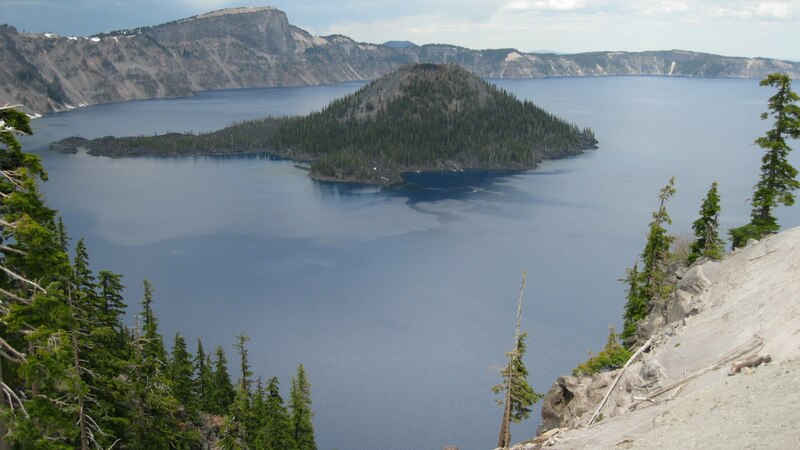 We visited Crater Lake and Cannon Beach as well. 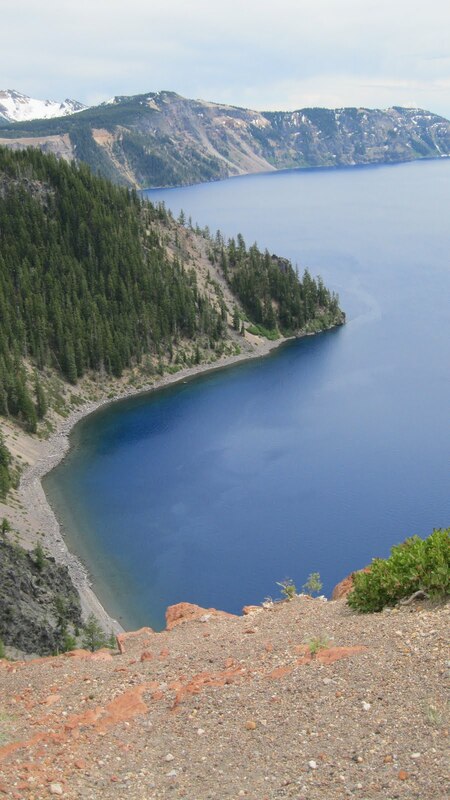 Please enjoy these photos of our trip! Almost since making my first tulip purse, I have wanted to make one in leather. I found a lovely red/maroon shinny finish scrap piece of leather, priced by the pound at the Carolina Fabric Outlet in Swannanoah, NC. It was a long skinny piece and I thought it might be large enough for a Small Long Stemmed Tulip Purse. Here is photo of the long piece folded so you see part of the front and part of the sweded back. I researched what I would need to stitch into leather. I have a Juki TL98Q which is certainly strong enough and a 930 Bernina, which is also strong enough. I purchased the suggested leather needles from Bernina World of Sewing on Glenwood Ave. in Raleigh. I also purchased a teflon foot for the Bernina, as it was something I have been wanting. The other supplies were powder to dust on the machine so the leather would slide under the foot smoothly and binder clips to hold seams together before sewing. Both of these suggestions were excellent! I chose to make the Long-Stemmed Tulip in the small version but had to make some allowances. 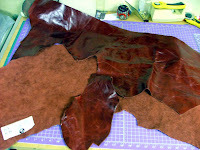 One was to only be sewing two layers of leather at a time. To do that I had to make the back of the flap out of cloth, and cut out a smaller version of the flap and sew it to the lining of the flap to attach the snap. The other change was to make the handle base linin g out of cotton as well. I had a maroon fabric in my stash that matched well. 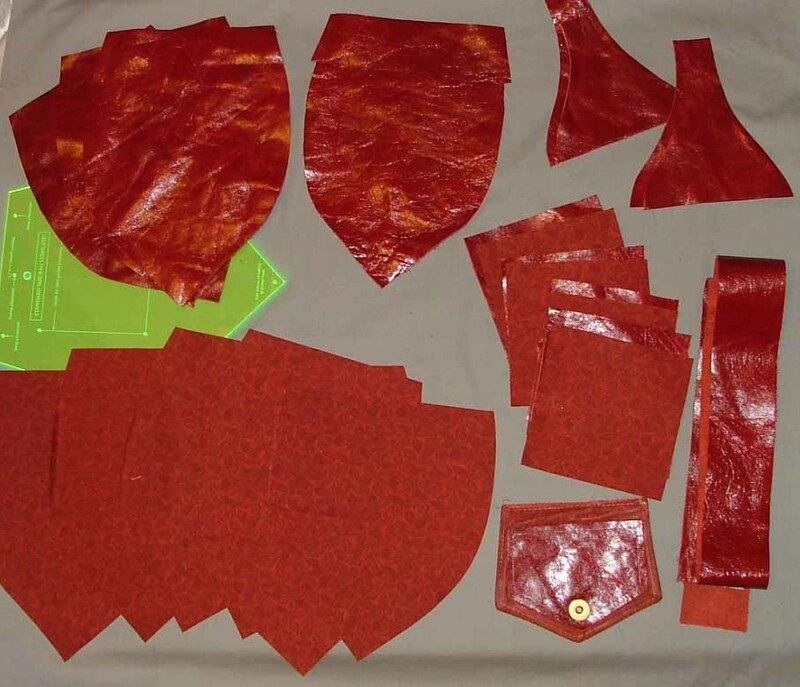 Here is a photo of the two materials. The thread I choose first was a thick 12wt. 100% polyester. I was a gold color, similar to what is used in sewing the side seams of jean fabric. I couldn't get the tention in either machine to handle the thickness. Instead I chose a 40wt. King Tut quilting thread. It held well when it was backstitched. It was suggested in the instructions I found to sew with a large stitch so as not to cut the leather, thereby dividing it into two pieces as you sew. (This is the same problem when sewing the clear plastic onto the name badge holder in the Traveler's Trio pattern, or the luggage tag in the Traveler's Tote pattern.) I lengthened the stitch to 3, then 5, then settled on 4. The Bernina has a dial that will lengthen the stitch by skipping every other stitch. The 3 settin g on it with a skipped stitch looked just right. It is necessary to back stitch or to hand knot the threads when the sewing is finished with leather. As recommended, I did practice with the needles and thread in both machines before deciding I was ready to try making the purse. Here are the pieces cut out, ready to sew! 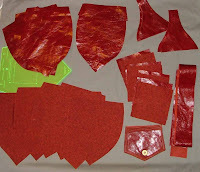 In order not to sew more than 2 layers together of leather at at time, I had to modify the pieces as shown here. The back of the purse has a template pocket. For the part attached to the purse, I cut away the seam allowance and sewed it to a piece of the lining. The inside pockets I made of leather on the outside and lining for the inside of the pocket. Here is the finished purse. It is not perfect, but if you use the galloping horse rule, I think I will enjoy it very much!